While I have been laying low on the chocolate, this has been a great sweet treat replacement. And it has 8 grams of fiber from the coconut flour so it will keep you full. I also use 1 capsule full of psyllium husk capsules (see picture below). This is just a fiber that is good for you and will help keep you regular. You go every day, right? We should be going every single day. I didn’t mean to go off on the potty talk but it’s important. Really. Maybe try some magnesium citrate and psyllium husk if you need a little “help” and/or a good probiotic. But I digress. 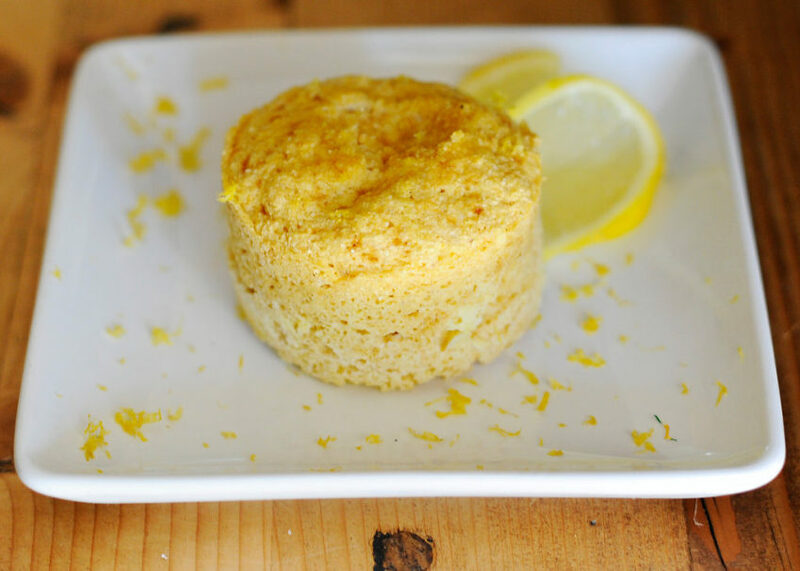 The other reason I use the psyllium husk so that it gives the cake a great squishy texture that feels similiar to traditional gluten-filled baked goods. And, it also has a tablespoon of alkalizing lemon (I use the jar of lemon juice – see below for pic- it’s just easier). And this treat is only about 160 calories. Ekk that just made me squirm a little. I don’t count calories, well not anymore, but I know that many are interested so I thought I would see, just out of curiorsity and for something fairly big and satifying, I was surprised. To be totally honest, while I love this treat, my husband is the only other person in our family that has tried it. He believes that anything cake-like in nature must have chocolate. So I wasn’t surprised when his critique was, “it was good, but needed some chocolate.” So it could be terrible and I could be the only person who loves this mug cake, but I don’t think I will be. At least, I hope not! So this is what it looks like in my mug, but I didnt think it was a very pretty picture so I put it on a plate, with some lemon zest, that I could use in my mug cake, but I won’t actually because that would take extra time. I cook a lot but I’m a lazy cook. For what it’s worth, I don’t love the Nutiva coconut flour. I just used it today for the first time and it seems denser and the cake seemed a little dry. This cake is never dry. But to be fair, it could be that my egg was a bit smaller than normal which I did notice. 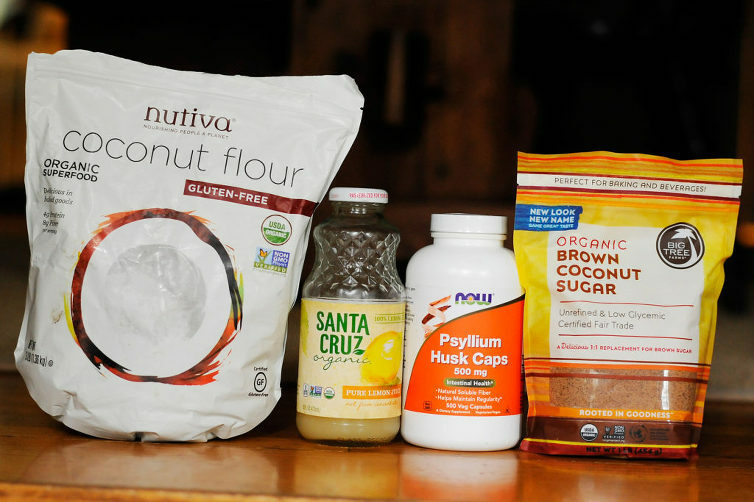 But I do love Let’s Do Organic coconut flour that you can get from Whole Foods or Vitacost, my favorite online store! Edited (3/6): I made my cake again today and it was still thick and dry (the raw mixture) with the Nutiva flour so I added 1 tbsp of almond milk. It helped but still wasn’t as good as it was with the Let’s Do Organic Flour. You can also just use 1 tbsp and 1 tsp of coconut flour instead of 2 tbsps. I would do that instead although it still might need a touch of milk. Too bad it’s so different with different brands of coconut flours. 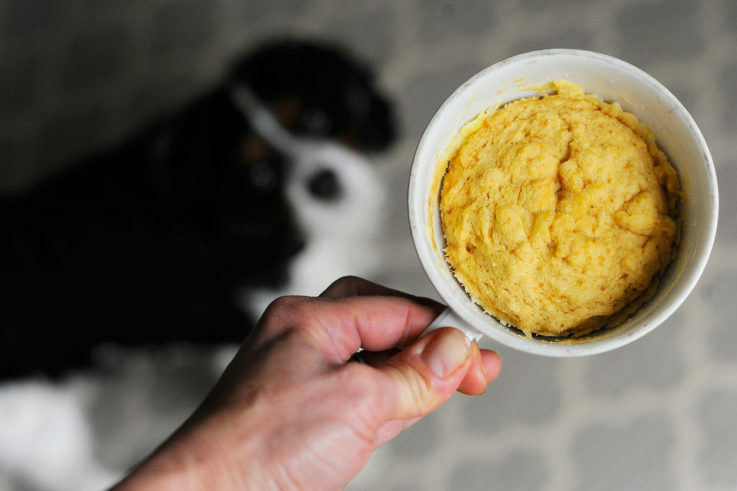 Crack an egg and whisk it in your coffee mug. Add in all of the above ingredients and stir well. Put in microwave and cook for 90 seconds and enjoy! You might need a little more or less cooking time depending on how strong your microwave is. Edited (3/6): I made my cake again today and it was still thick and dry (the raw mixture) with the Nutiva flour so I added 1 tbsp of almond milk. It helped but still wasn't as good as it was with the Let's Do Organic Flour. 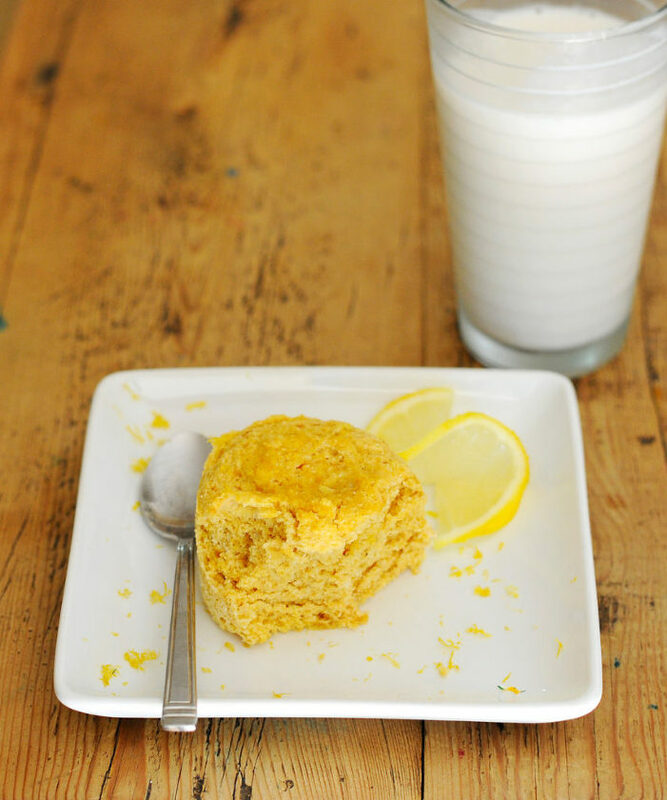 Be sure to add extra 1 tbsp of some kind of milk if you use Nutiva! OR, just use 1 tbsp and 1 tsp of coconut flour instead of 2 tbsps although it might still need a touch of milk if the batter seems thick.